A big Texas howdy to you! My name is Lil Miss Millie, and I'm a super-sweet, curious, playful, green-eyed 'tabico' DSH gal who was born in April of 2016. A 'tabico' is a tabby-calico or a gray tabby with orange tabby patches as well as plenty of white. It almost looks like my silver-tabby fur got splashed with caramel in a candy factory! Then I'm beautifully marked with a white chin, white bib, white tummy, and white mittens. I love to play, play, play, and when I'm all tuckered out, I climb up in my foster meowmy's lap for a snooze. I really cherish the attention that my foster meowmy and her young son give me. When I'm not playing, cuddling, or snoozing, I love to watch kitty TV by sitting on the cat tree and looking out the window. I also get along great with the friendly kitties and little dogs in my foster home, once the proper introductions were made. I would be perfect for a family because I'm so compatible with all ages of 2-legged and 4-legged critters. I had rather hardscrabble beginnings in that I was a socialized stray kitty who was foraging for food with a colony of feral cats. I was trapped with the rest of the ferals to be fixed and ear-tipped, but the folks at the shelter where I was taken soon realized that I was much too social to be a feral cat. I'm so glad that my future foster meowmy spotted me and scooped me up to take me home with her. As much as I like my foster home, I want a lifetime home of my very own. Won't you arrange to meet me? I promise to shower you with all the love I have to give, and I'm sure you'll have fun reciprocating! Petting me may even lower your blood pressure! Lil Miss Millie is updated on shots, spayed, dewormed, microchipped, FIV/ FeLV negative, and ready for her indoor-only home. No de-clawing permitted. Her adoption fee is $100, cash or check payable to Buster's Friends. 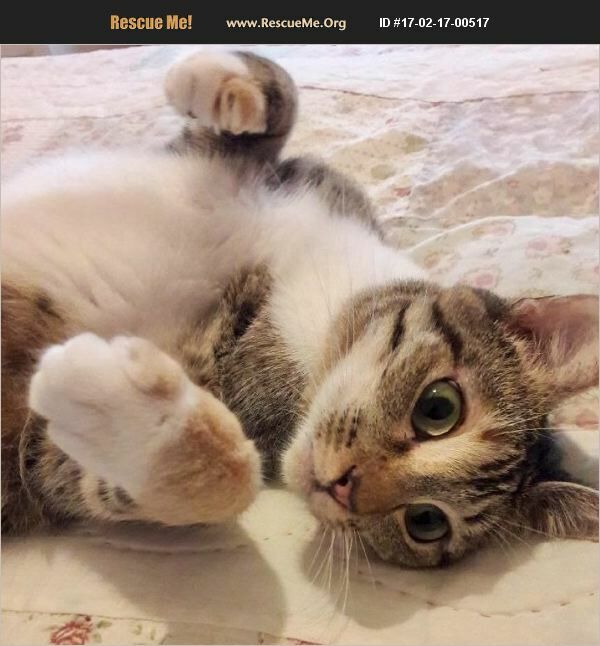 Please click the contact button if you are interested in Millie, and we can let you know exactly where you can meet her. To adopt one of our cats, you must fill out our adoption application and be approved by one of our adoption counselors. To make the process more efficient, submit the online cat adoption application at https://www.bustersfriends.org/cat-adoption-application.